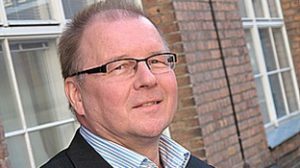 Brussels, 21.08.2015 – The Open & Agile Smart Cities (OASC) initiative has named Mr. Seppo Haataja Director of the newly established OASC secretariat in Brussels, Belgium. With leadership positions in hi-tech, economic development, research collaboration and product development at Nokia, VTT (Technical Research Centre of Finland) and the City of Tampere, Seppo brings 28 years of unique experience and knowledge to the secretariat, joining both a technology and city background with an economic policy, research and business profile. Mr. Haataja was strongly involved in establishing the Wi-Fi standard for wireless networking, which we now all take for granted. He comes from a role of heading the economic development program “Open Tampere” at the City of Tampere. Realising the OASC secretariat in Brussels in such a strong and rapid way is made possible by kind support from the OASC cities of Tampere and Helsinki, together with the open data spearhead project “Open and Smart Services” by the Finnish Six Cities Strategy, as well as several other partners. Mr. Haataja’s first tasks as OASC secretariat director will be to build up the secretariat, streamlining communications and organizing events – starting with the launch of OASC 2nd wave in Tampere, Finland, September 22-23, where networks of cities from the Netherlands, Ireland, Australia, France and Scotland are lined up to join. The launch in Tampere happens as part of the annual Mindtrek Openmind conference. Apart from the official launch, there are specific OASC workshops with both technical and policy/business focus. Next milestones are the 3rd wave launch at Smart City Expo in November in Barcelona and the Connected Smart Cities Conference, January 21, 2016, in Brussels, where the OASC community convenes. Mr. Seppo Haataja, OASC Secretariat Director, mobile: (+358) 40 5003475. Dr. Martin Brynskov, OASC Chair, mobile: (+45) 3068 0424.